Barbara Bush Refuses Medical Treatment, Seeks “Comfort Care". Headlines this week have covered the unfortunate news that former first lady Barbara Bush, wife to former president George H.W. Bush, has elected to end her medical treatment. For years, she has fought a variety of ailments and undergone several invasive and risky surgeries. The 92-year-old announced via the Bush spokesperson that enough is enough. She will be accepting only “comfort care” moving forward. While the news is heartbreaking, sparking a wave of support online, how the news was delivered stands out as a curious choice of words. Rather than tell the public that she has entered end-of-life care by saying she will be accepting hospice care, former first lady, Barbara Bush used the words “comfort care” in the statement delivered by her spokesperson. “It will not surprise those who know her that Barbara Bush has been a rock in the face of her failing health, worrying not for herself — thanks to her abiding faith — but for others. She is surrounded by a family she adores, and appreciates the many kind messages and especially the prayers she is receiving,” the statement continued. To those who work in the industry, her meaning is obvious: she has begun to receive palliative care to alleviate pain during her final life transition. Why, then, did she not use the word “hospice”? 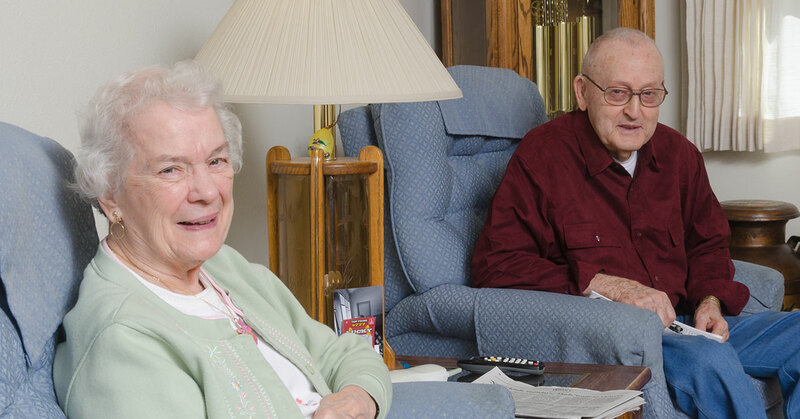 Hospice care and hospice awareness have had a decades-long and hard-fought battle to gain mainstream acceptance in the medical community and among the general public. 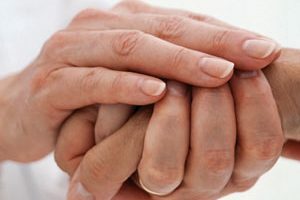 There has existed a certain stigma toward hospice, particularly in regards to its association with right-to-die causes. Many see entering hospice as a form of giving up on life, which flies in the face of certain religious and values-based belief systems, particularly conservative ones. The use of the term “comfort care” is, in reality, a masterful navigation of a complex political landscape. Barbara Bush and her family are no strangers to political nuance, and the former first lady, although entering her final life stage, has not lost any of her political acumens. She could have brazenly announced that she had begun hospice care, but such a statement might have risked alienating a certain portion of the population. The Bush family are still active in American political life, and so her choice of words demonstrates her commitment to her family and their interests until the end. Mrs. Bush will be known best for her work on family literacy, which she called “the most important issue we have”. She became involved with many literacy organizations, served on literacy committees, and chaired many reading organizations. Eventually, she helped develop the Barbara Bush Foundation for Family Literacy. She was also active in the White House Historical Association and worked to revitalize the White House Preservation Fund, which she renamed the White House Endowment Trust. 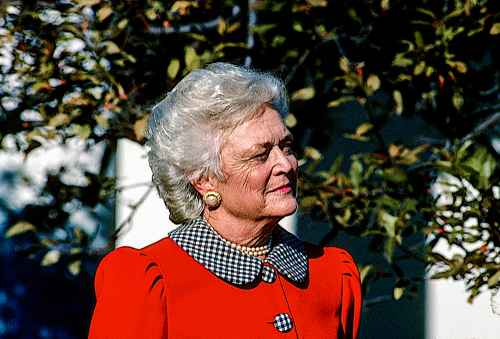 Barbara Bush’s health problems began in 1989 when she was diagnosed with Grave’s disease, an autoimmune disease that affects the thyroid glands. Later, in 2008, she underwent surgery of the small intestine, although what for is not clear. In 2009, she received an aortic valve transplant. Since the surgery, she has developed chronic obstructive pulmonary disease (COPD) and congestive heart failure. Barbara Bush’s statement did not reveal which condition has led her to stop medical treatment. CNN has reported that most recently, she was admitted to Houston Methodist Hospital on Good Friday suffering from shortness of breath. She was doing better and had been released earlier this past week, but started to get worse in the past couple of days. People are generally aware that Bush Sr. suffers from a form of Parkinson’s disease that has him in a wheelchair; however, most were not aware of the former first lady’s health problems, which started about two years ago.